Are you torn between using search engine optimization (SEO) and pay-per-click (PPC)? Did you know they can complement one another for the success of the whole business? Each has multiple benefits when used separately. However, some experts do recommend using both together to multiply certain effects. Here are top benefits why you should consider using both SEO and PPC in synergy. Both SEO and PPC are used to target search engine result pages or SERPs. When we use search engines like Google, two kinds of results show up: Google AdWords ads (PPC) and organic search results driven by SEO. Below is the screenshot of the Google search engine result when you typed the keyword “coffee machines”. If you will notice, AdWords (PPC) ads are shown on the top and bottom of the result page while the organic list is placed in the middle. 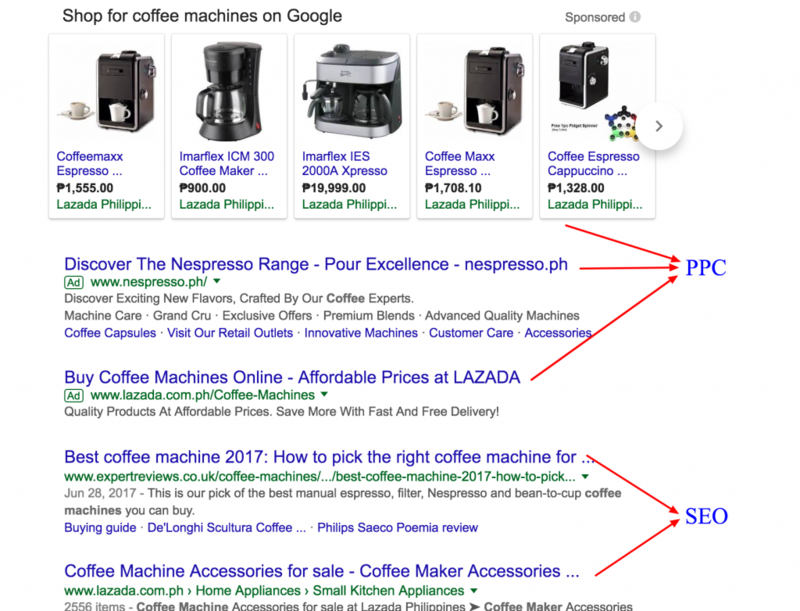 The screenshot also shows that Lazada is on both organic and paid spots. By combining both SEO and PPC, your business dominates the SERP by allocating less room for competitors and established an authoritative position in your particular industry. It has been known that keywords are important for both SEO and PPC. When you launch PPC ads, you’ll instantly know far what keywords are working for your potential customers and what they’re really looking for to find your business. These data will help you with content strategy. You can improve the meta descriptions, title tags, and page content to influence your lead generation and sales conversion strategy. Instead of waiting for an organic search strategy to take effect, paid content will give you an insight that you can quickly apply the same for SEO to double the effect. Social media websites like Facebook, LinkedIn, and YouTube allow opportunities for a great ad campaign. PPC and social media targeting are pretty sophisticated. You can target a specific section of your market. For example, you can show certain content only to people between 30 to 40 years old. This will give you accurate information that can also be applied to your SEO strategy. Generating traffic from your SEO (organic) efforts is difficult. It’s not also instant. Even social media websites have paid advertising services that they promote over organic traffic. It’s also not new that people who visit your website through organic effort may fail in taking any actual action such as subscriptions, inquiries, or purchases. What you can do is to continue to use PPC drive traffic to your website, show them what you do and what you offer. Then, you can chase these people and recapture their attention through compelling PPC ad campaigns. One of the benefits of SEO is that it naturally reveals keywords that weren’t in your original strategy. You’ll find that your preferred keywords are not the ones your potential customers are using to find your business. These keywords can be added to your PPC strategy to yield more positive results. 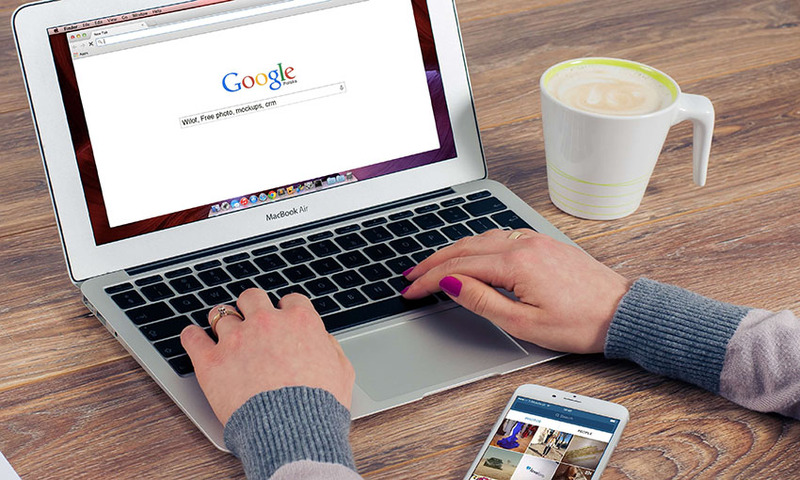 As a result, you ensure your website appears on the search engine result and provides your potential customers a good experience when they are on your website. Businesses nowadays combine SEO and PPC to achieve better performance metrics and greater success. However, this may require the help of your best experts, time and the effective use of your marketing budget. Are you looking to run SEO and PPC campaigns together? Have you done this type of strategy before? What were the results? Share your experience in the comment. Work with the SEO and PPC specialists at EmergeLocal to start seeing better conversion rates and performance. Contact us today to see how we can help you.